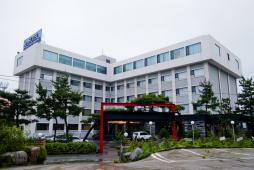 The hotel located at between Gyeongpo beach and Gyeongpo lake! Le-Hotel Gyeongpo Beach opened its doors in January of 2004 with a view of Gyeongpo beach and a rear view of Gyeongpo lake. Come escape from the city to breathe in the fresh air and splendor of the Gyeongpo region. The hotel has 5 stories and a basement, with 68 guestrooms. Amenities include fine-dining restaurants, Korean restaurants and banquet halls featuring traditional Korean cuisines, wedding halls, and much more. In the vicinity are tourist attractions including Gyeongpodae, Gyeongpo beach, Ojukheon, Chamsori Gramophone Museum, Mt. Odae and Seorak, Jungdongjin, the Unification Observatory and more.